ATTENTION: WHISTLE BLOWER STAFF MEMBER AT THE BCSC! A while back one of you contacted me regarding so called “confidential” information you said you knew about regarding my hearing – in your wording you indicated that “Staff at the BCSC acted in bad faith while preparing for our hearing in April 2014.” And that you (after reading this blog) had information regarding this that you thought I should be made aware of. First of all – Thank you very much for contacting me – it is nice to see there might just be someone at the BCSC with ethics! You indicated you would like to meet and discuss things in person and said that you would contact me again – PLEASE do so in the same manner and I promise your confidentiality will remain in tack if that is your wish. I would very much like to meet with you as per your suggestion. I look forward to hearing from you ASAP! Do not let these alleged practices (mentioned in your message) continue at the BCSC! One could very easily conclude that many people (specifically the FCC and DCF investors) were possibly affected by the actions of certain BCSC Staff members during the relevant time. Posted on January 31, 2017 February 3, 2017 Categories BCSC TruthLeave a comment on ATTENTION: WHISTLE BLOWER STAFF MEMBER AT THE BCSC! CROOKED CHRISTY CLARK’S GOVERNMENT HIT AGAIN BY NEGATIVE PRESS! Crooked Christy Clark continues to get negative comments from major new outlets regarding her “PAY TO PLAY”functions – this time from Canada’s Globe and Mail. It truly is sad that people of this Province are not doing something about this – she has lost at virtually every level – take the latest BC Hydro fiasco out lined in this article. Okay, let’s get this straight – B.C. is currently paying millions of dollars to independent power producers to NOT produce power because there’s such an oversupply. Meantime, BC Hydro is busy building a $9 billion dam while arguing that B.C. needs more power? Does this make sense to anyone? Even the biggest Liberal people I know are not agreeing with this! WAKE UP PEOPLE! This is also the same government that pays the failing BCSC Chair BRENDA LEONG nearly $500,000 per year to run the BCSC. Brenda Leong can only be seen as failing at her job when her staff have collected under $200,000 of the nearly $350,000,000 in fines they have ordered over the years. That only .0004590 cents on the dollar. If you or I had this little success doing our jobs we would be terminated instantly! Posted on January 28, 2017 Categories BCSC TruthLeave a comment on CROOKED CHRISTY CLARK’S GOVERNMENT HIT AGAIN BY NEGATIVE PRESS! IS THE BCSC’S OLUBODE FAGBAMIYE TOO CHICKEN TO RESPOND? Posted on January 28, 2017 January 28, 2017 Categories BCSC TruthLeave a comment on IS THE BCSC’S OLUBODE FAGBAMIYE TOO CHICKEN TO RESPOND? 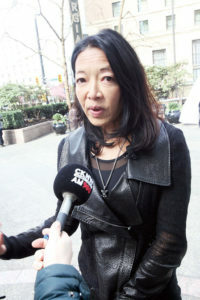 DID BCSC CHAIR BRENDA LEONG EXPUNGE DOCUMENTS IN 2016 MATTER? Our friends at bcsecuritiescommissionasham.blogspot.ca have recently uncovered a doozy and allege that “someone” at the BCSC seems to have expunged documents in the summer of 2016. B.P. and R.P. vs BCSC, its that case where the Appeal Court Judge found that the BCSC had made misrepresentations and acted contrary to public interest by judging hundreds guilty without trial and publishing their names. Some people might say it doesn’t exist but we have evidence that it does/ or did exist and happen. Again, the ruling by the Appeal Court of BC judge was profound in that the judged found the BCSC “acted contrary to public interest by judging hundreds guilty without trial and publishing their names.”. This isn’t that hard to figure out – someone at the BCSC does not want the public to have access to this ruling by the Appeal Court of BC so they appeared to have somehow managed to have the record removed (expunged) from official court records in BC. If this is fact – the people at the BCSC (or whomever order the records to be expunged) have broken the law! Perhaps it wasn’t BCSC Chair Brenda Leong but she surely would have to know about this – right? Posted on January 19, 2017 January 19, 2017 Categories BCSC TruthLeave a comment on DID BCSC CHAIR BRENDA LEONG EXPUNGE DOCUMENTS IN 2016 MATTER? BCSC’S BRENDA LEONG AND OLUBODE FAGBAMIYE AFRAID TO ANSWER QUESTIONS? 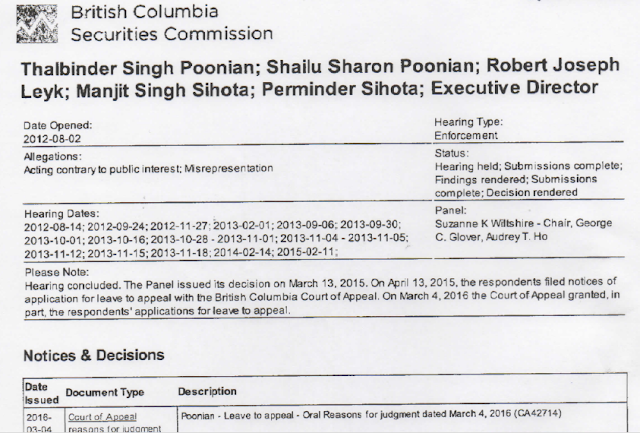 The Gong Show at the “BRITISH COLUMBIA SECURITIES COMMISSION” continues with NO reply to our repeated requests for our questions to be answered. If we had legal representation the BCSC would have to reply to the lawyer requesting answers – but because we are self-represented they feel they don’t need to reply? COWARDS! Posted on January 19, 2017 January 19, 2017 Categories BCSC TruthLeave a comment on BCSC’S BRENDA LEONG AND OLUBODE FAGBAMIYE AFRAID TO ANSWER QUESTIONS? UPDATE: NY TIMES DOUBLES DOWN ON THEIR CROOKED CHRISTY CLARK STORY! As we reported last week, the actions of Crooked Christy Clark’s government have garnered international headlines – specifically with a New York Times reporter who called British Columbia the “Wild West”. This week, David Ball (a reporter from Metro News in Vancouver) contacted the NYT and interviewed reporter Dan Levin. Ball article states, “New York Times reporter Dan Levin never expected his visit to British Columbia to earn him rebuke from the province’s leaders. Q: The fact that the New York Times is looking at us has made you a bit of a celebrity here. Why does nobody in this Province seem to care what Clark’s government continues to do? Why do they seem to have free reign over shoddy business dealings, crazy travel expenses, and a “pay-to-play” system of doing business. It is time we wake up people! Posted on January 18, 2017 January 19, 2017 Categories BCSC TruthLeave a comment on UPDATE: NY TIMES DOUBLES DOWN ON THEIR CROOKED CHRISTY CLARK STORY! BCSC’s SPINELESS LITIGATOR OLUBODE FAGBAMIYE CONTINUES TO HIDE UNDER HIS ROCK! It has now been over 5 weeks since we contacted Mr. Fagbamiye by phone (and then by letter) and he continues to hide from answering simple questions that would allow the former investors in both FCC and DCF to hear first hand whether or not staff at the BC Securities Commission acted in bad faith when preparing legal documents in our matter AND whether or not they erred in not taking the Settlement Offer to the Executive Director of the BCSC (whom we were told was the ONLY person at the BCSC that would be able to accept our settlement offer. Posted on January 15, 2017 January 15, 2017 Categories BCSC TruthLeave a comment on BCSC’s SPINELESS LITIGATOR OLUBODE FAGBAMIYE CONTINUES TO HIDE UNDER HIS ROCK! NY TIMES REPORTS ON CROOKED CHRISTY CLARK AND CONFLICT OF INTEREST? Who has had enough of this vial piece of garbage? It is time to #DRAINTHESWAMP in the Province of British Columbia! Treason, breach of trust, fraud – you name it! Throw the book at her! Posted on January 13, 2017 January 13, 2017 Categories BCSC TruthLeave a comment on NY TIMES REPORTS ON CROOKED CHRISTY CLARK AND CONFLICT OF INTEREST? 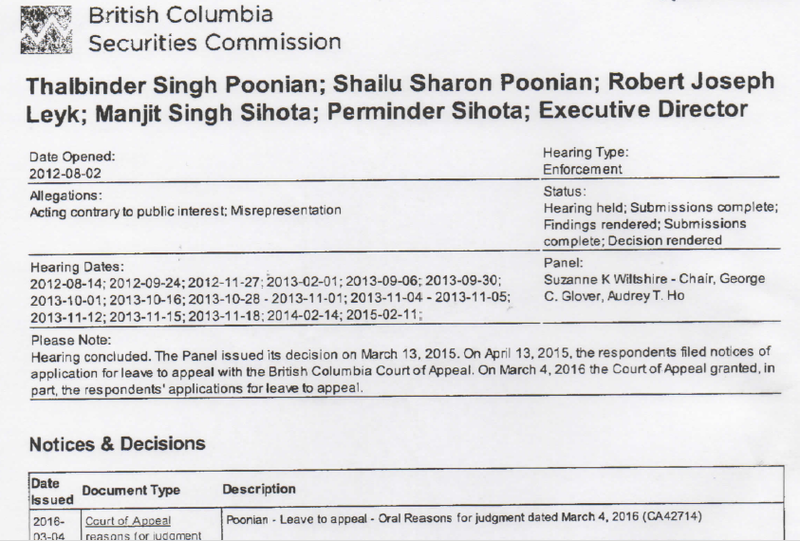 DOES THE BC SECURITIES COMMISSION PROMOTE VIGILANTE JUSTICE? Posted on January 13, 2017 January 13, 2017 Categories BCSC TruthLeave a comment on DOES THE BC SECURITIES COMMISSION PROMOTE VIGILANTE JUSTICE?